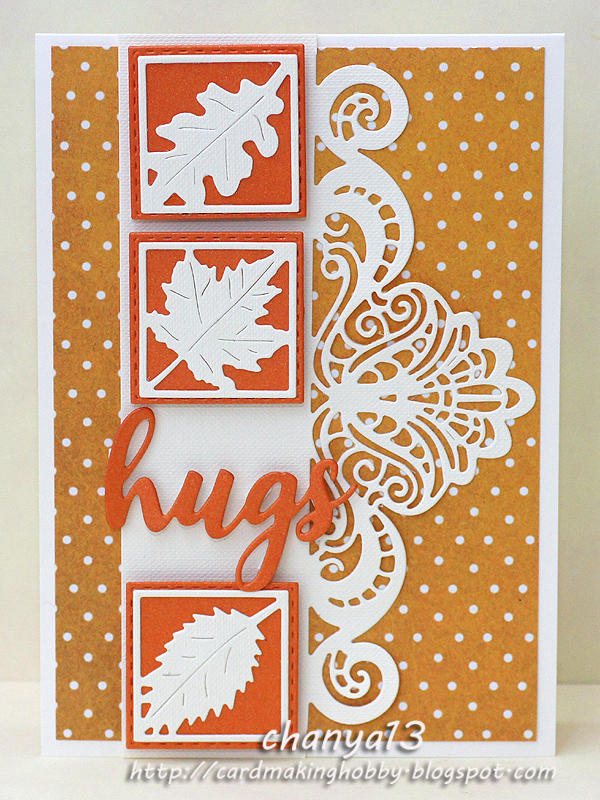 Kim is hosting our challenge today, and the theme is Autumn. As usual anything you care to enter is fine, a card, scrap layout, mixed media piece, some home decor, as long as it's Autumnal themed. I love the Autumn with all the fabulous colours and falling leaves. 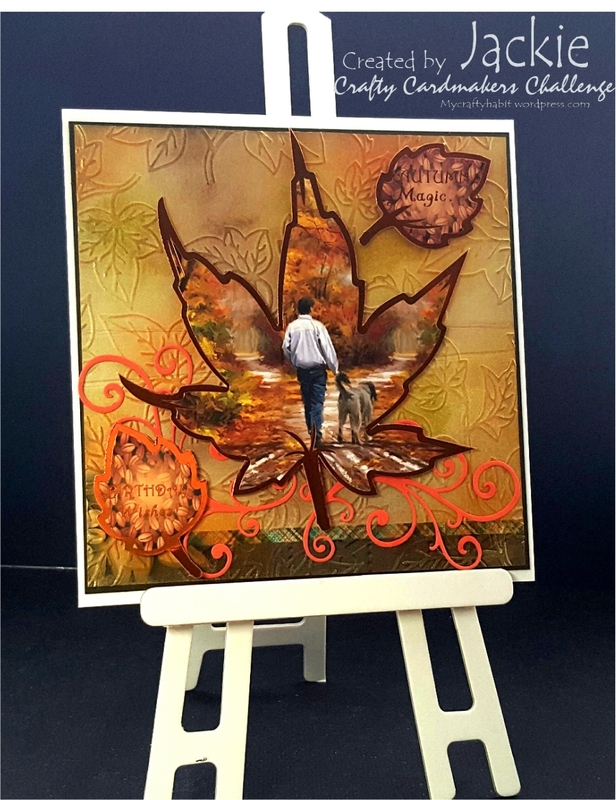 I have chosen a card made using a background created with Distress Oxides along with a Sue Wilson die and some Penny Black leaf stamps. The tree stamps and leaves are from Clarity, while the wording is from CardCraft UK (I think). 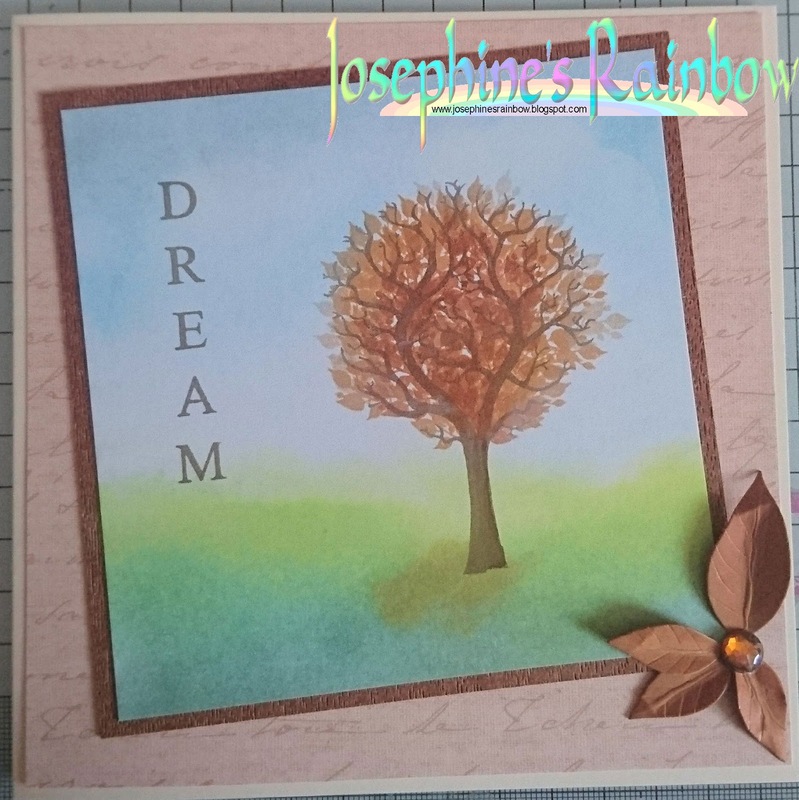 The background is Pan Pastel, with some help from a cloud shape cut using a Sizzix die. 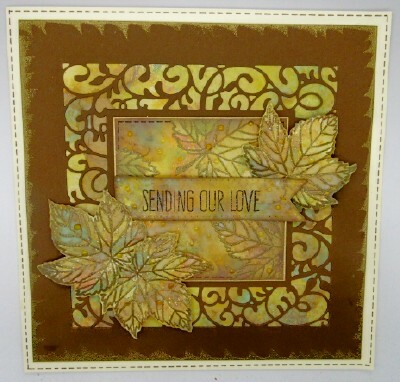 The leaves at the bottom were cut using a Sheena Douglass die, and the paper is from Papermania. 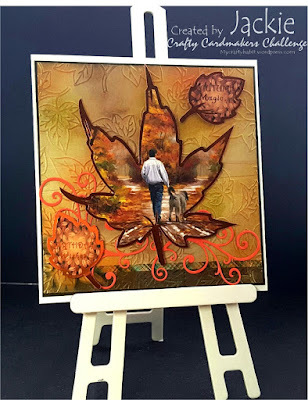 I have used a decoupage sheet from Jayne Netley Mayhew's autumn collection. I used a digital harvest image from DZ Doodles Digital Stamps for my card. I loved their harvest scene. The image was coloured with pencil crayon, Copics and gel pen. To complete the card I added a ribbon and a sentiment using an old Hero Arts Stamp. 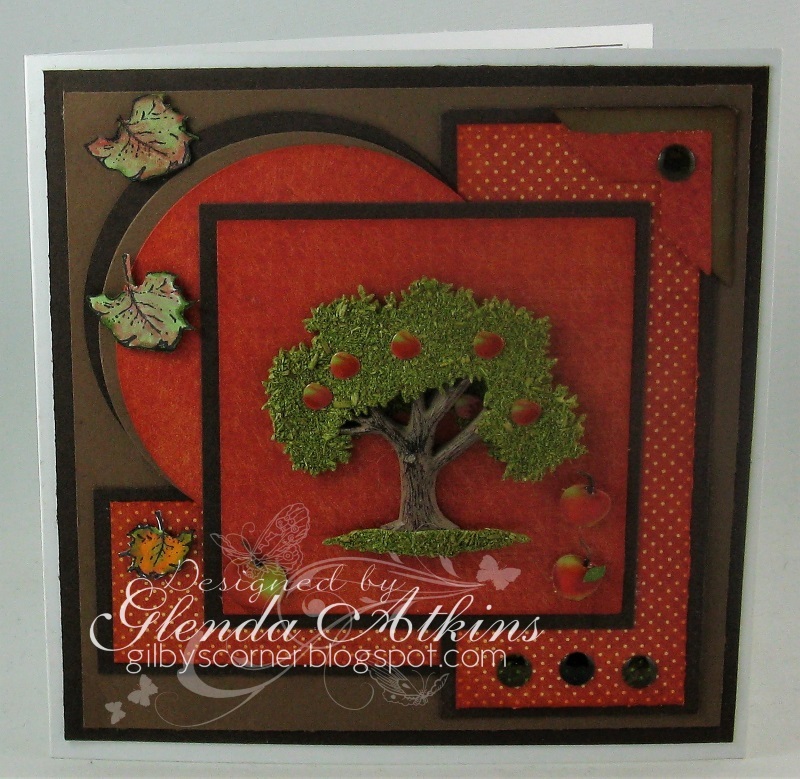 I used fall colours, an apple tree and falling leaves to represent my autumn theme for the challenge. It will be used for a autumn Birthday card for a step grandson. I started by making a masterboard for the background using Seth Apter paints and a brayer. 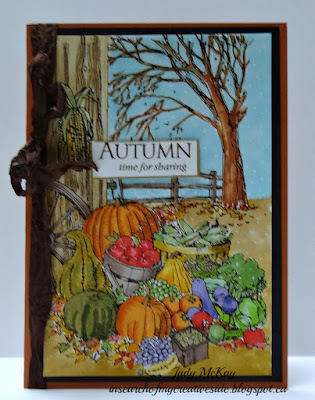 The dies are all by Tim Holtz and the stamp by Woodware. I completed the card by adding the ribbon bow and pearls. The Harvest Blessings is a file from Cricut Design Space. Cut at 5.5 in., I added Stickles glitter to it. 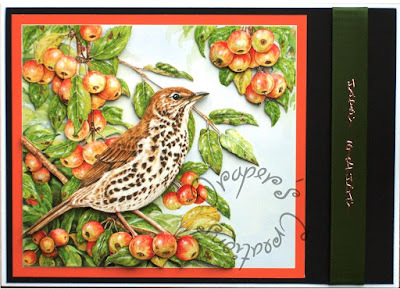 The card base is embossed with an Anna Griffin embossing folder. Details on my blog. Hello everyone. 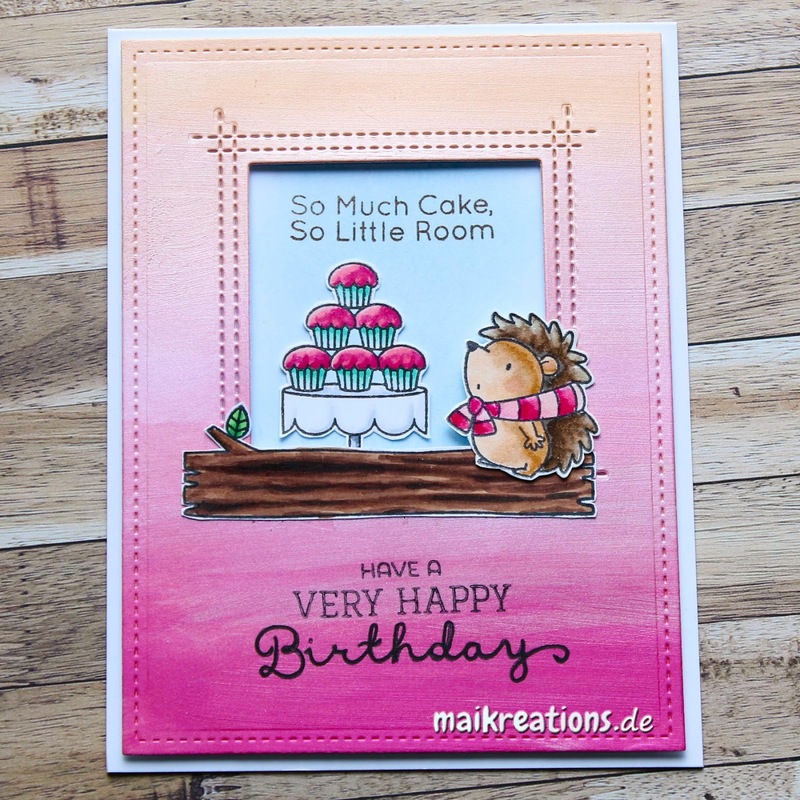 For this card I used Maja and Kaisercraft papers. The leaves were cut with Tim Holz' Mini Tattered Leaves Set and I coloured the flowers with sprays made from Distress Re-inkers. Added a piece of gauze under the cluster, a few berries and lots of prills. Hello everyone. 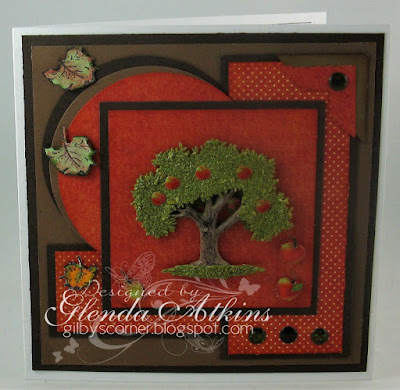 For this card I used oranges colors combo and leaves. 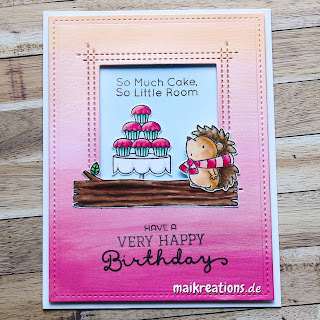 My card was made using a topper from an old hunkydory collection, some diecuts and distress inks over an embossed background. Lovely Autumn inspiration! Thanks for the challenge. WOW... awesome autumn inspirations of the DT! I love them all.. The DT cards are all truly beautiful. I love the representations of styles and products, and of course, the amazing colors we never see here in Florida. Thank you for the wonderful challenge!